Last week I visited Garbstore. There was a guy in there wearing a bright orange padded vest. I was in the middle of buying a considerably more sober navy padded vest. “I like what he’s wearing”, my girl said, gesturing towards bright orange padded vest man. I didn’t say anything. I just bought the navy padded vest. Then sulked. Cut to now and bright orange padded vest man is still tugging at my mind like a deranged puppeteer. 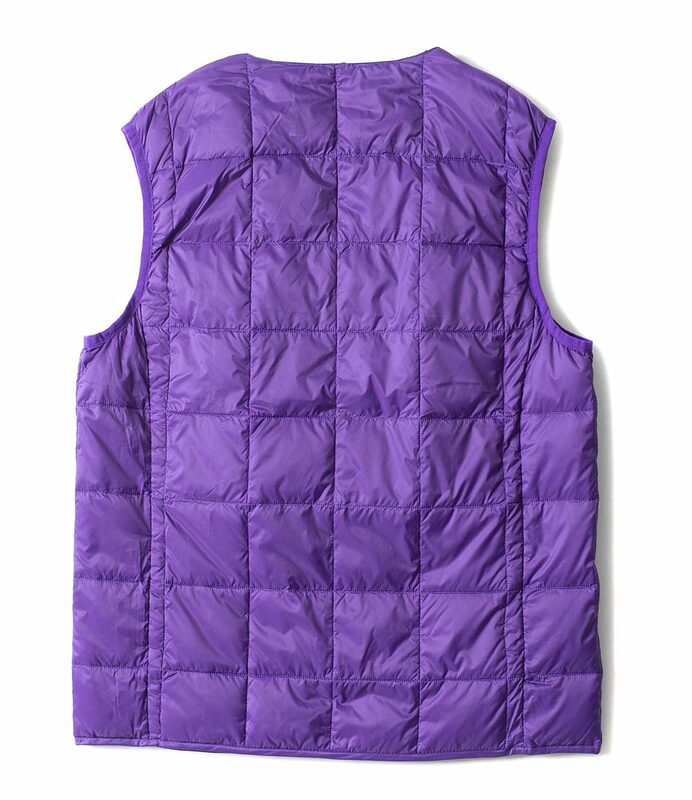 Should I be in the market for a padded vest in a bolder colour? If I got one would my girl love me more? If I don’t get one will I die cold and alone, tortured by the vision of a youngish bloke in a bright orange padded vest? Could I be any more of an ignoramus? 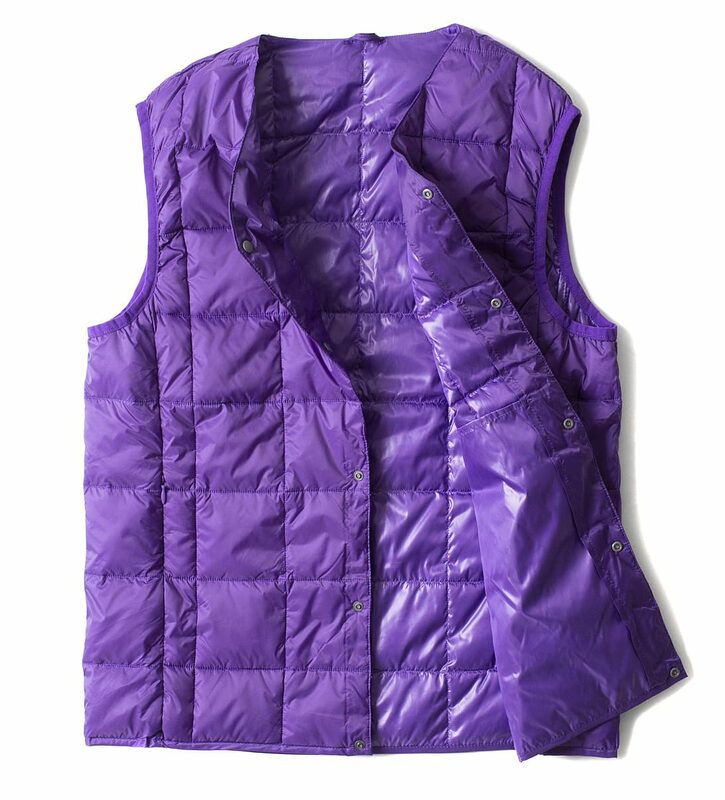 It will not have escaped your notice that this vest, (bodywarmer, waistcoat, gilet; take your pick) is purple. Not orange. However, I’m thinking that (irrespective of my girl’s apparent bias towards orange) it’s simply about a strong coloured vest; one that breaks the cycle of navy and grey; one that pops. This example is by Taion, and while it is available in numerous shades (red, green, navy, grey) in my view, this Quality Street purple is blowing things up. I’m struggling to find much about Taion, although there are some hideously styled shots on Google images and there’s a lady wearing one on Rakuten. It looks a bit like mummy-daddy-pushchair wear. Seemingly another example of a generic native brand being culturally elevated (in the mind of a suggestible Brit) by being stocked in an interesting retailer; in this case Korea’s I Am Shop. Consequently, it looks as though you can pick one of these up for just $45. 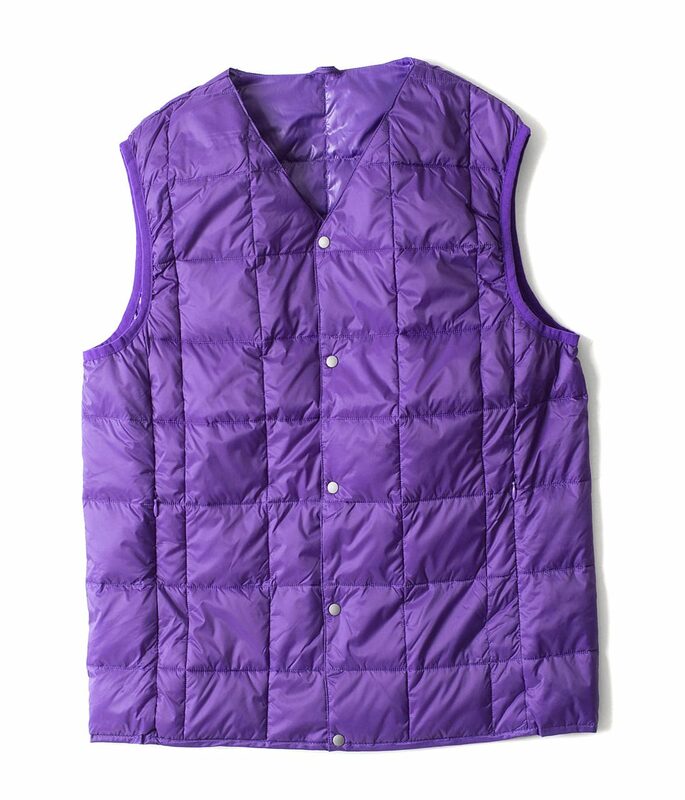 I’m not vouching for the craftsmanship here you understand, merely the effect a bright purple vest will have on your life. Which, on balance, I expect to be nominal. Blue jacket opened with your hands in the pockets of a orange or purple waistcoat/gilet/vest is pure Squire Bold-Look. Buy one. Or both. Navy is for your jaunty Spring sailor outings, so congrats for planning ahead with that one.